Sutcliffe Construction recently completed a prestigious renovation and restoration project on Skipton High street to create Alexander’s Bar and Restaurant. The £2.2 million project for PEEL Entertainment Group saw the conversion of a Grade II listed Georgian former shop and cafe into a sophisticated bar and restaurant with outside terraces and a secret garden in just six months. The building has served the community in many roles over the centuries as a rented house, doctor’s practice, several retail outlets selling everything from leather goods to outdoor wear, and more recently in hospitality – first as the Russian Tea Room and lastly as Forage Restaurant. PEEL bought the building in 2016 and began its 18-month restoration project working with Groves Architects in Kirkby Lonsdale. Sutcliffe Construction was appointed main contractor in early 2017 with a tight schedule to bring the building back to life by summer and use local subcontractors and craftspeople wherever possible. The project was complex – a complete renovation of a listed building on a site with restricted access to a tight schedule. Project logistics were highly demanding due to the High Street location and land locked rear garden, which has been transformed into a stunning terrace and secret garden. This required a pro-active and innovative approach, including the use of a ‘spider crane’ and canal barge; using the canal for its original purpose to transport goods and materials. The internal fit out was complex and extensive including significant structural alterations, completely new M&E and very high quality finishes throughout the building. 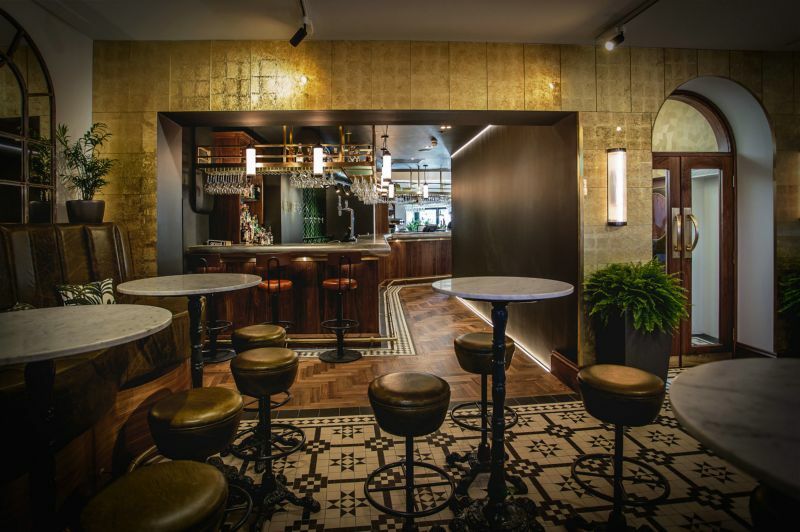 Alexander’s offers a relaxed, social fine-dining experience with international small plates, sharing boards and a vibrant bar with live music and offering a full day to night experience. It’s European feel and concept inspired by the Grand Tours of the Victorian and Edwardian eras is the brainchild of PEEL Entertainment Group Managing Director Susannah Daley who worked closely with the architect Robert Groves and interior designer Kath Groves and drew on her own global travel experiences. Family-owned Sutcliffe Construction is enjoying a growth period with contract values up by over 20 per cent in 2016/17 over 2015/16. Recently completed projects include an office development for TGE Investments in Leeds, and a cold store for food giant Dalziel Group. It has increased its workforce by 50 per cent since 2010 and is actively recruiting new staff. Based just outside Skipton, Sutcliffe Construction has evolved ‘building smart’ into a way of working that creates partnerships, adds value for clients and results in a finished product that makes owners’ proud. This approach has won it loyal customers nationwide and a growing portfolio of commercial, industrial and educational builds in the manufacturing, food, transport, and leisure industries. If you’d like to know more about our services or how we can help you with your project, please get in touch. We’d love to hear from you. By submitting your details to Sutcliffe Construction, we will hold your data and send you further correspondence with our latest news and products.